Lorenz drive-thru electric gates are for situations that require both animal containment and frequent vehicle access. Lorenz drive-thru gates are for situations that require both animal containment and frequent vehicle access. 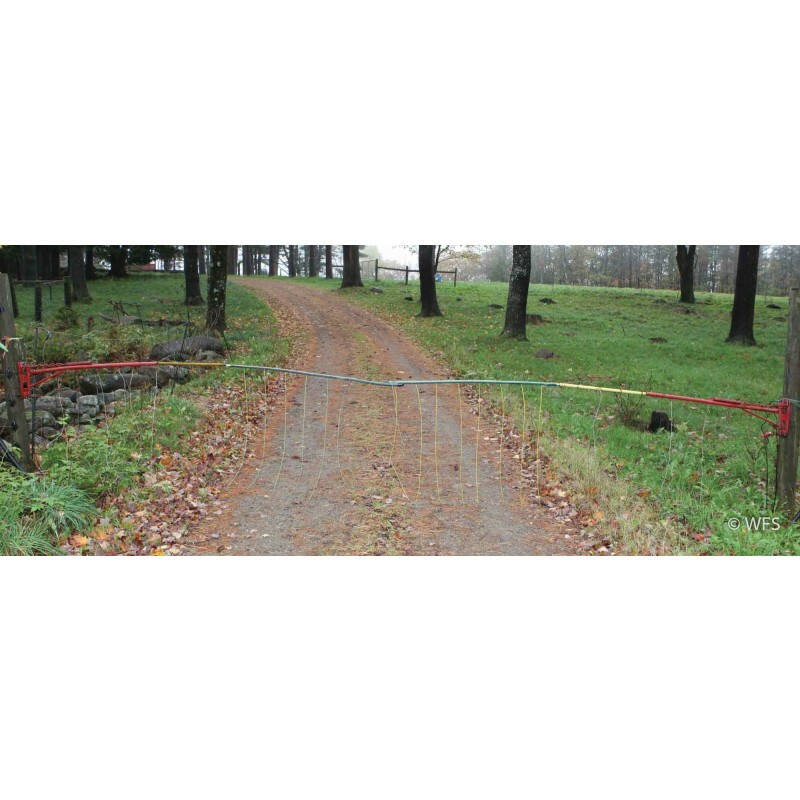 Made from rubber and steel, these gates come in three different sizes and are electrified from both sides providing constant voltage while vehicles, farm equipment, and forestry equipment pass through. Comes in three widths for openings of 12'-14', 15'-20', or 18'-24'.